167. Tsukui, Nobuko. Ezra Pound and Japanese Noh Plays. Washington, D.C.: UP of America, 1983. A detailed comparative analysis of the Pound/Fenollosa nô versions with original nô texts from the Kanze school. Includes careful tracing of nô allusions in The Cantos. Based on ‘Ezra Pound and the Japanese Noh Plays’, PhD thesis, University of Nebraska, 1967 (abstract in DAI 28/6: 2267A-68A). 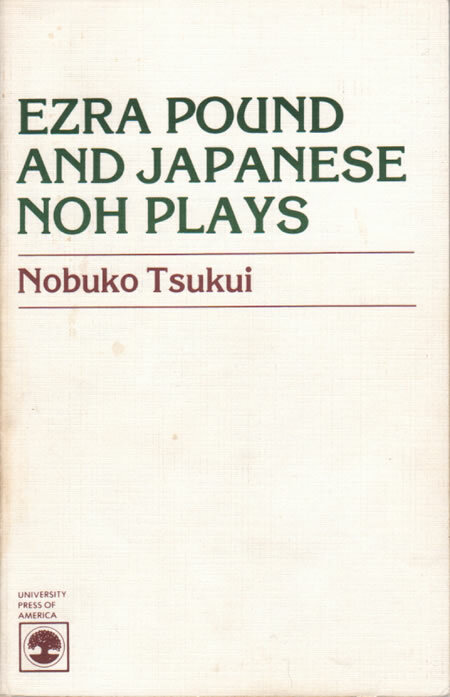 Reprints YÔRÔ (75), and incorporates ‘Ezra Pound and Japanese Noh Plays: An Examination of Sotoba Komachi and Nishikigi’ (Literature East and West 15/4-16/1-2 [1971-72]: 662-79), ‘Ezra Pound’s Relationship with Fenollosa and the Japanese Noh Plays’ (Markham Review 3 : 21-27), and ‘Aoi no Ue and Kinuta: An Examination of Ezra Pound’s Translations’ (Paideuma 8 : 199-214).